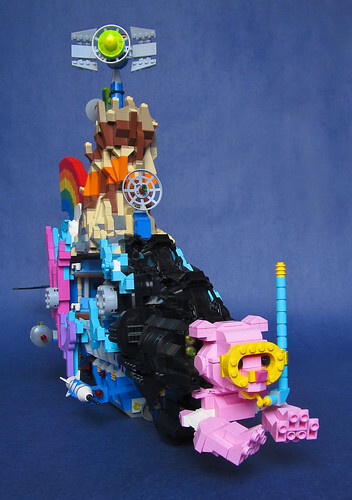 Last month, we reported on an image that surfaced of the Master Builder’s Submarine that was created by various characters in The LEGO Movie. 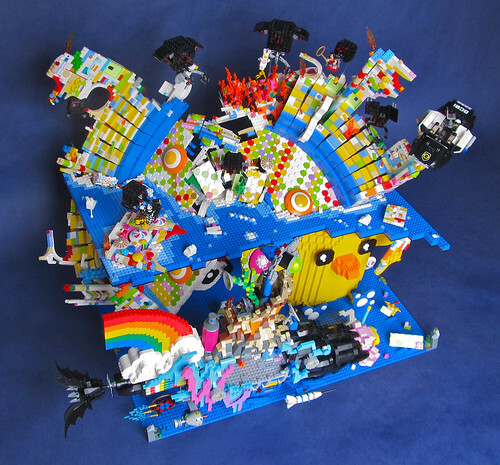 The digital design was created by Grant Freckelton and his team using LEGO Digital Designer. 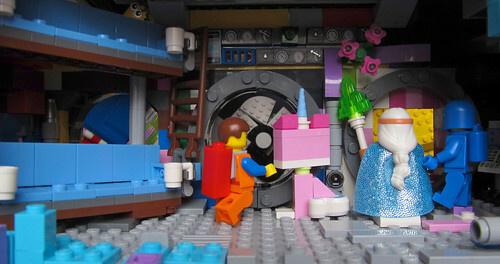 In the movie, six characters worked together to create it. 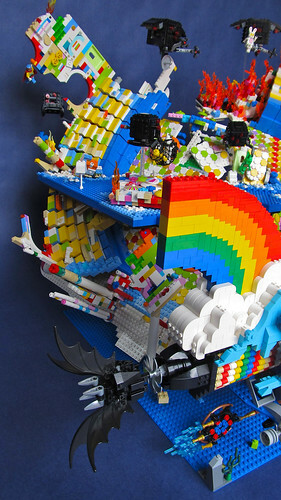 In the real world, it took one person to make it and he goes by the name of Imagine Rigney on Flickr. 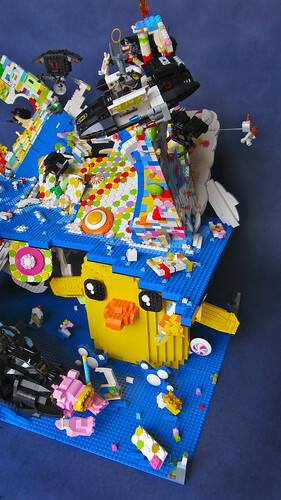 He has recreated the submarine with great accuracy. The sub is only a part of his bigger models as you can see from the images below. 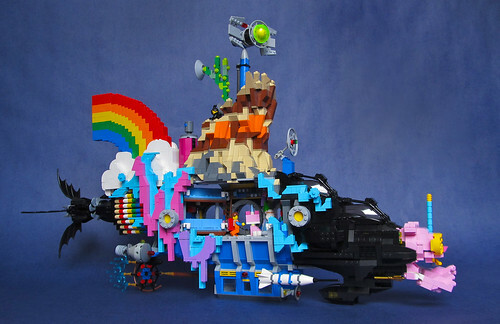 The sub is a cutaway design in which the characters witness the fall of Unikitty’s Cloud Cuckoo Land. 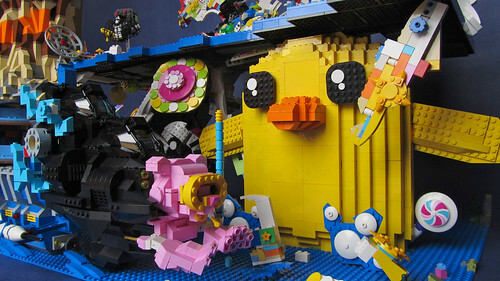 He notes that while building the model, he found out that many of the elements used in the digital image didn’t exist in some of the colors or no longer exists. 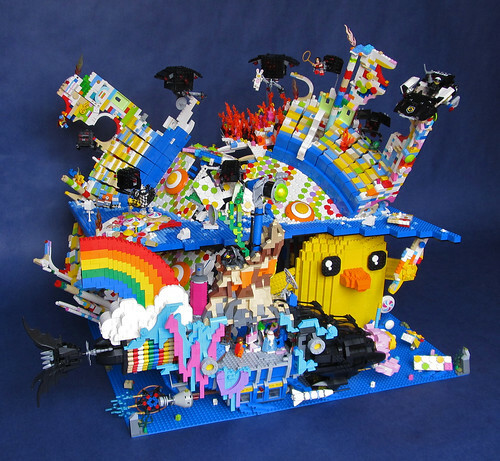 A very awesome MOC by Imagine Rigney and truly a representation of The LEGO Movie’s message.